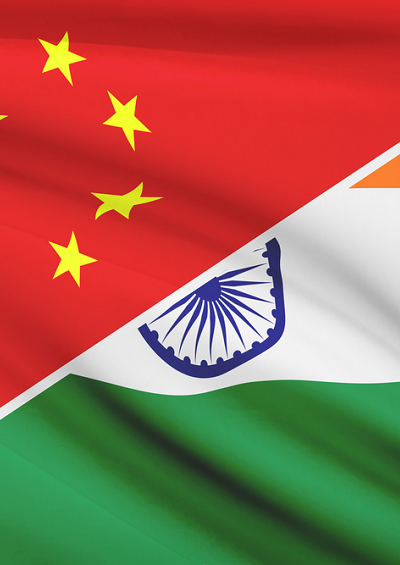 Can India Surpass China’s Economy by 2050? 9 facts on the economic rise of India after a delayed start. For several decades to come, China will almost certainly hold its new spot at the top of the global economic table. By 2050, it is possible India’s economy will have edged out not only the US but also China for the top spot. India’s economy is only a little over 40% as large as the U.S. and Chinese economies. The Indian economy is expected to be 2% larger than the U.S. economy by 2050 — but 30% smaller than China’s. 1. For several decades to come, China will almost certainly hold its new spot at the top of the global economic table. 2. However, by 2050, it is possible India’s economy will have edged out not only the United States but also China, to take the top spot. 3. A little more than a decade after China launched its market-based reforms, India jumped into the growth game as well. 4. India’s economic liberalization policies of 1991 led to an increasing role for the private sector and opened the economy to foreign investment. 5. As of 2014, India’s $7.3 trillion economy was the world’s third-largest, measured in terms of purchasing power parity. 6. However, it is at present only a little over 40% as large as the U.S. and Chinese economies. 7. While India’s growth has not been as strong as China’s over the past two decades, its growth rate is expected to outpace China’s in the coming decades. 8. To realize its potential, India will need to sustain its reform policies and increase investment in infrastructure, education (especially women) and better governance. 9. The Indian economy is expected to be about 2% larger than the U.S. economy by mid-century — but about 30% smaller than China’s. Sources: PricewaterhouseCoopers with additional analysis by The Globalist Research Center.